Raheem Sterling is paying black to the school where he grew up by paying the tickets of 500 pupils from the school to attend Manchester City’s FA Cup semi-final against Brighton at Wembley on Saturday. The Manchester city striker 24 was raised close to Wembley after moving from Jamaica at the age of five and studied at Copland Community School, which was renamed in 2014. 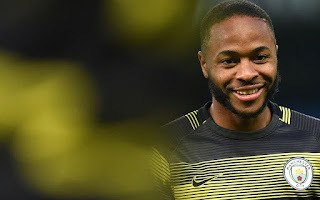 I have a close connection to Ark Elvin Academy, having attended the school myself when it was Copeland Community School, so it is great to be able to give these students the chance to watch a game at Wembley said, Sterling. A Year 10 student at Ark Elvin by name called Mamadou Diallo said It was an amazing experience going to Manchester City. Meeting Raheem and having the opportunity to ask him questions not only inspired but also motivated everyone in the room.